Cook the rice and set aside. 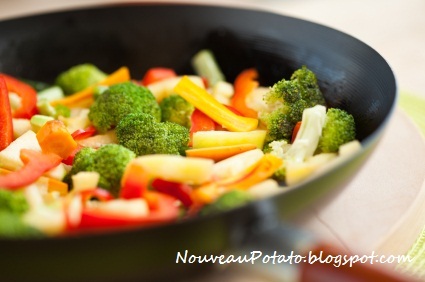 In one large frying pan or wok, heat the cooking oil on medium heat. Sautee the garlic, ginger, and scallions, and stir for up to 3 minutes or until it releases an aroma. Add the broccoli, mushrooms, and peppers. Stir for another 7 minutes or wait until the vegetables turns tender and bright, just don’t overcook it. In a small bowl, make a mixture of Thai sweet chili sauce, soy sauce, honey, and sesame oil. Make sure to come up with a desirable blend before you and mix it with the vegetables. Stir for one more minute to combine. Serve on top of the rice and sprinkle with sesame seed or fried garlic for a more sumptuous look. There you have another heart-friendly but palate-enticing cuisine that you could try out at home. Serve this to family and friends and you’ll definitely give them a wonderful but healthy food trip they’d want to enjoy again and again. Manilyn Moreno is a writer and caterer. She is passionate in writing about her hobbies which include cooking, organizing events and outdoor activities.